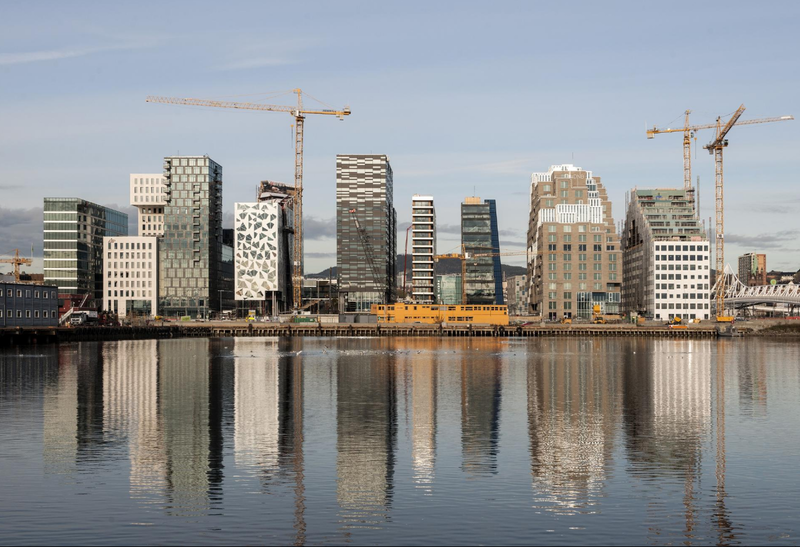 OSLO’s bold Barcode waterfront redevelopment project, shown here still under construction, is an example of the boom in bold architecture in this Norwegian capital. The electronic barcode is the metaphor for this multi-architect project. Photo: Jiri Havran, Archello. Oslo, Norway, home to the Nobel Prize, has certainly emerged as flashpoint for bold architecture, especially since the beginning of the millennium. International architecture media supports the claim, the venerable capital is anything but ancient and Oslo is one of the hottest cities for young architects to find work. 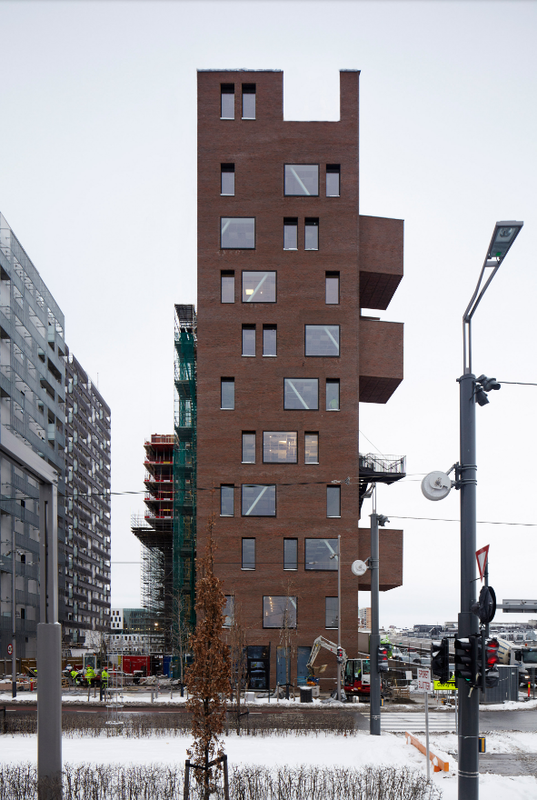 The Wedge at Barcode is an 11-story red brick office block on the waterfront in Oslo by A-Lab architects based in Oslo. It is the final chapter of 13 buildings to be completed in the Barcode Project. 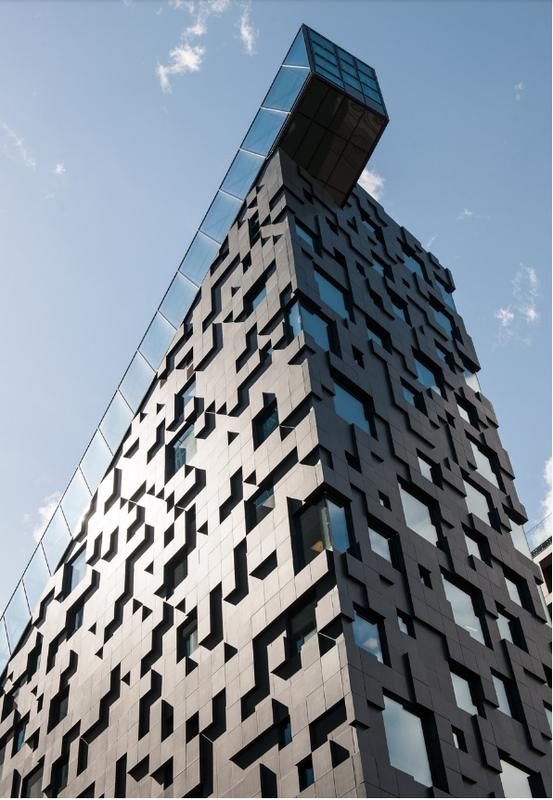 DNB NOR headquarters, Building C by Dark Arkiteker in the Barcode dockside revitalization project in Oslo. 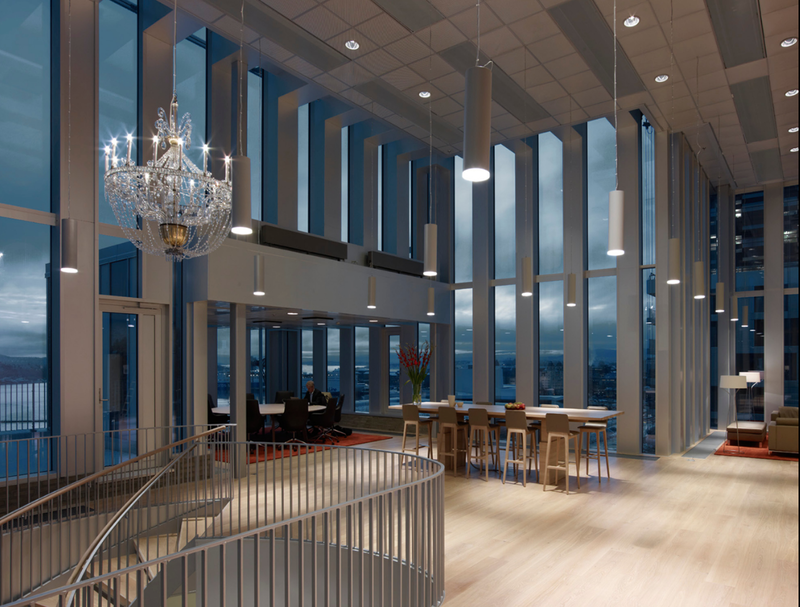 The Norwegian based bank was able to unify its employees from 30 different locations into its multi-building, multi-architect headquarters campus. Architectural metaphor shown here is transparency.